Health PEI coverage outside Canada can only go so far; you need to buy additional Prince Edward Island travel insurance or private health insurance to take care of services not covered by Health PEI. You can get more information about the type of insurance available to you when you travel outside Canada from the Canadian Life and Health Insurance Association (CLHIA). Call CLHIA. What Does My Health PEI Cover? Whether you are traveling for vacation, study or business, you need additional Prince Edward Island travel insurance or private medical coverage to cover uncertainties. Health PEI may cover some emergency health care services but it has limits. Non-emergency medical services are not covered by Health PEI outside the province. This is why you need additional coverage when you travel. Call Insurdinary for travel insurance Prince Edward Island residents can pay. When you call Insurdinary, we will connect you to insurance advisors who will assist you to choose the right travel insurance for residents. Medically necessary services may be covered by Health PEI even in other parts of Canada. However, the provincial coverage only pays back the amount equivalent to the service in Prince Edward Island. You are also required to tag along with your health card even when outside the province for the service to be covered. To read more about Prince Edward Island Travel Insurance, click here. When deciding to travel or to purchase Prince Edward Island travel insurance, the weather of your travel destination is an important factor to consider. The travel advisory for the most popular travel destinations for Prince Edward Islanders is provided below. How Much Prince Edward Island Travel Insurance Do I Need When I Travel Abroad for Study? If you need comprehensive coverage for your health and other uncertainties when you travel for study, you should consider getting Prince Edward Island travel insurance or additional private medical insurance before you travel. Your extra insurance policy might have limitations and it is necessary to know what the policy covers during your study duration. You can get more information about traveling outside Canada from the ministry’s Fact Sheet “Traveling outside Canada”. To learn more about Prince Edward Island Travel insurance for students, click here. How Much Prince Edward Island Travel Insurance Do I Need When I Travel Abroad for Work or Business? Several Canadians travel outside of their home province or country for business or work. It is very important you get a Prince Edwards travel insurance policy or private health insurance when you travel. Moreover, you also need to properly understand the limits and coverage of your policy to know whether it is enough for you or not. Refer to the Health PEI Fact Sheet for more information about traveling outside of Canada on “Traveling outside Canada”. 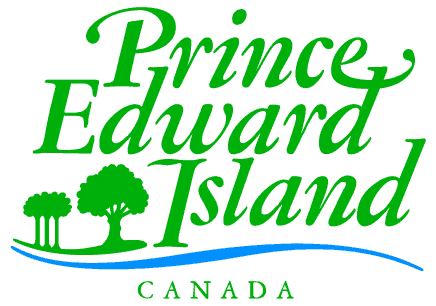 To learn more about Prince Edward Island Travel Insurance for employment or work, click here. What is the latest in the Prince Edward Island Travel Insurance News? Echelon Financial Holdings Inc. (EFH) and CAA Club Group (CAA) (an insurance group that provides road side assistance, travel, insurance services and many more) announced November 9, 2018, their agreement to sell EFH to CAA for $175 million. The announcement follows an extensive strategic review overseen by EFH’s Board of Directors committee. The Special Committee recommended to EFH Board of Directors that it is to the best interest of the company to sell to CAA. The Chairman of EFH’s Board of Directors, Murray Wallace, said they are excited about the sale of EFH as it produces an attractive outcome to the shareholders and the continuation of employment for the staff. He added that CAA would enable EFH to attain the next level of service via its customers and brokers. The president and CEO of CAA Club Group, Jay Woo, said that CAA Club Group’s Insurance product would expand due to the acquisition of EFH and would offer non-standard auto, commercial and property insurance. The purchase does not completely include the other active subsidiaries of EFH. EFH still owns 75% interest in the Insurance Company of Prince Edward Island (“ICPEI”). ICPEI is a leader in providing personal and business insurance services. It sells these services through a network of 17 brokers in 68 offices throughout all of Canada’s three Maritime provinces. EFH will collaborate in order to assist ICPEI to set up independent operations so as to ensure that the business continues. After closing the sale of the Business, it will support its broker partners to achieve these goals. EFH estimates that it had about $30 million in net tangible assets based on its reported balance sheet on June 30, 2018, plus the 75% interest in ICPEI which has an equity book value of about $10 million. To learn more about Prince Edward Island travel insurance news click here.